From 12 to 14 November, Indire, in collaboration with UIBI Foundation, organises in Lucca ImmersED, the festival entirely dedicated to immersive education. The event is organised into conferences, workshops and demonstrations where teachers will experience the didactic potentials of immersive teaching and reflect on its introduction in their classes. The events take place mainly on 13 and 14 November and are led by teachers and experts of immersive education. The event will open with a keynote speech in the presence of international guests who are going to share their visions on the future of virtual and augmented reality for education. 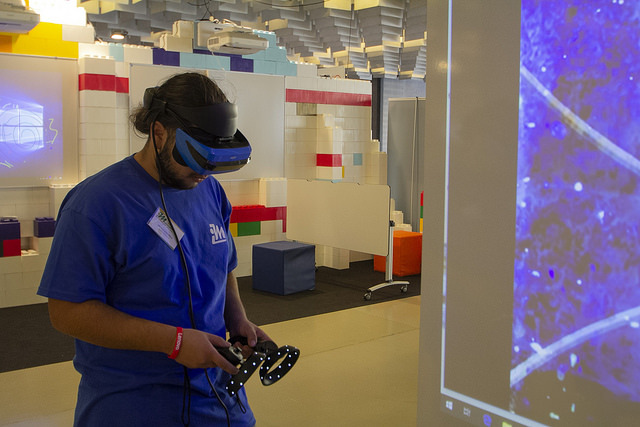 On 13 and 14 November there will be also the conference “Virtual reality at school” where best practices in the field will be presented by the teachers who experimented them in their classrooms, experts collaborating with schools and university researchers.